Home care is for all ages! No matter what your interest or age, submitting your questions helps you and thousands who may read it in the future. Are you considering home health physical therapy as a career? I've been in this field since 1994. I've seen the industry change and I see where the industry is going. I can give you sound answers to your career related questions. Are you an agency looking for information? This site is being developed. However, when we know what you are looking for, we will post those topics first. Are you in search of home care answers for your loved ones? Navigating your home health care options can be confusing at best. Many do not even know these services exist until some unfortunate mishap. Are you trying to avoid home care? I hope I've caught you before you actually need home care. Taking a look around and asking questions you can't find answers to will only help and prepare you to take better care of your self now or at least know what to expect in the future! Please remember that the answers to your questions do not replace the sound advice of your physician, personal trainer or physical therapist. It is always in your best interest to consult your physician for answers to your health questions, however, you may still ask them here. If they are beyond my professional scope to answer, I will let you know. 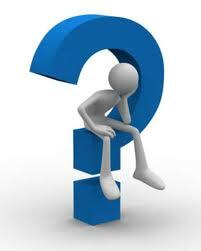 Questions about Home Health Care Physical Therapy? I strive to provide a great free service. Please consider a donation to help keep our site running. Either way, your questions are important to me! Home Health Care can be confusing, especially for those seeking answers alone. I've got answers for your home health care physical therapy questions - but only when you ask them! Please change any confidential information that you do not want to appear on this site. You may have more questions - see if they have already been answered below. 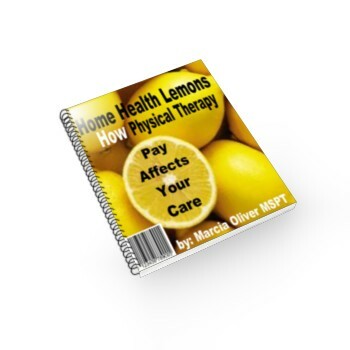 Is your physical therapist a lemon?